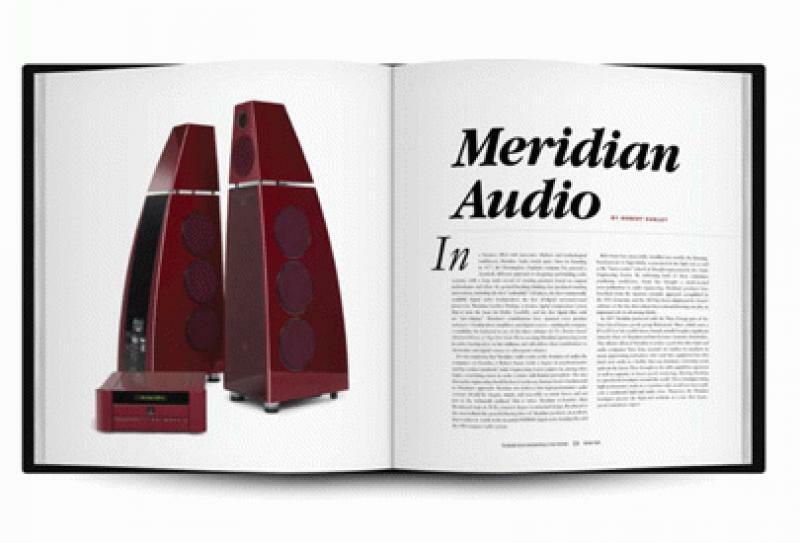 While acoustician Bob Hodas has his own room-tuning jihad on coffee tables for sonic purposes, our friends at The Absolute Sound have taken the time to make a coffee table book about the best audiophile speakers of all time. The $129 coffee table book is LP-shaped and takes a leisurely look into the best speaker designs of all time. Wilson, MartinLogan, Bowers & Wilkins, Infinity - you name 'em, they've got 'em. Interviews, rare photos, professional copy and unique insights only begin to list the contents of this book. • Read more floorstanding speaker news from HomeTheaterReview.com. • See more news in our Bookshelf Speaker News section. I for one am personally pre-ordering this 320-page book, as it is must-read material for a good fall audio session. Consider it the ultimate in liner notes. The first 2500 copies are numbered as first-printing copies. The Absolute Sound suggests that they might do additional volumes on electronics and other products. Count me in there, too, as this is the type of stuff that you want on display in your music room. For more information and/or to pre-order the book, click here. McIntosh Introduces New XRT1.1K Loudspeaker Smaller and more affordable than the XRT2.1K, the new speaker still packs a massive punch. Focal Fills Out Kanta Line with New Kanta N°1, Kanta N°3, and Kanta Center The new Kanta N°1, Kanta N°3, and Kanta Center join the Kanta N°2 in completing this vibrant and flexible speaker lineup. KEF Launches Revamped R Series at CEDIA Expo 2018 Featuring a new Uni-Q driver, reworked internals, and reconfigured driver spacing, the new R Series lineup comprises three new towers, a bookshelf, a center, and an Atmos-enabled speaker module. Bowers & Wilkins Introduces New Affordable 600 Series Speakers The four new speakers and three new subs in the lineup promise to deliver an incredible mix of performance and value.